I was asked to review this book by the publisher. I received no money, though I did get a copy of the book. The opinions offered are mine alone. When I was offered the chance to review this book, I leapt at it. I have a lot of story ideas that I'm working on (a novel, several short stories, another novel all lined up and ready to go when I finish the first one) and then there are other things (like making a living) that take up my time. 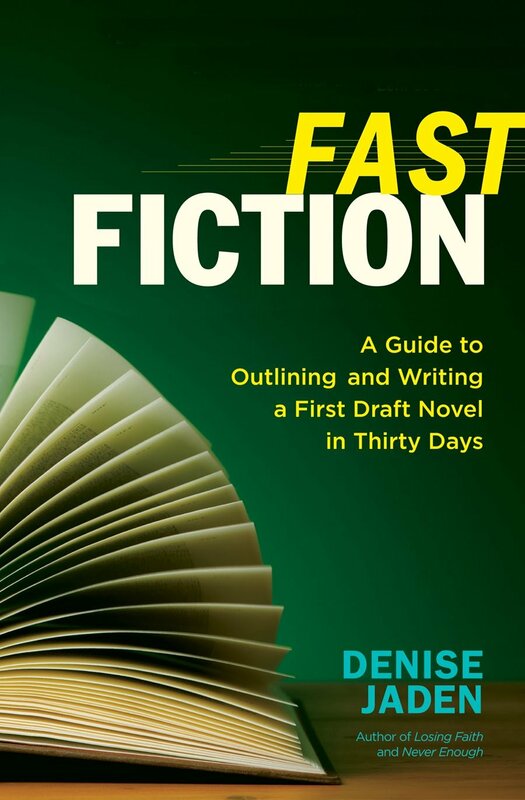 So, fast fiction? I'm there. 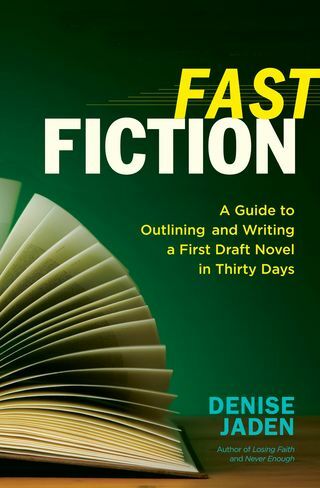 The full title of this book is Fast Fiction: A Guide to Outlining and Writing a First-Draft Novel in Thirty Days. The author, Denise Jaden, was inspired by her experiences writing a novel during Nanowrimo, helped along by the fact that the novel she wrote the first time she participated eventually got published. She's such an enthusiast of the process that she offers her own Thirty Day Writing Challenge on her blog. I'm good with Nanowrimo–I've participated in it and I know a lot of other writers who have, too. But what mostly appealed to me about this book was learning Jaden's techniques for writing fiction fast. Before I tell you more about the book, let's dispel one notion right off the bat–just because something is done quickly, that doesn't mean it is bad, okay? I'm not sure how this idea got started, but it is prevalent. For my money, writing a first draft as fast as you can often means you get your deep true voice on the page better than when you labor over a draft. Of course, after completing said first draft you then go on to rewrite, revise and polish it in future drafts–that is a given. Back to the book. So many writing books get me enthused at the beginning and then I get bored. But I've actually been working with the ideas in this one. As those of you have taken my novel-writing class or read many of my posts know, I'm a big believer in doing prep work before you start the writing. (In other words, I am not a pantser, but a proud plotter.) And this method is essentially Jaden's technique for writing fast. In Part One: Before the Draft, she takes you through all the prep work pieces that will enable you to write a fast draft. She includes tons of questions and prompts about character, setting, and plot that will help you lay out ideas for the novel. Part Two of the book is a day-by-day guide for the actual thirty day drafting process. It's full of more ideas and prompts, the gist of it being that you refer to each page as you go along. I'm not doing the thirty day drafting thing, so I'm mining this section of the book for inspiration in a more random way. And Part Three of the book has some good thoughts on revision. So, I give this book an enthusiastic thumbs up. Even if you aren't a believer in fast drafting, or if you are, gasp, a pantser, I think you'll find a lot of value in it. 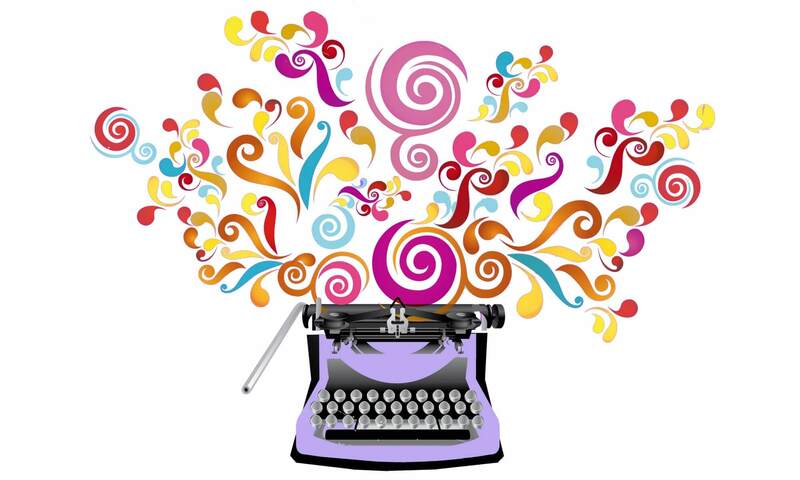 What's your favorite book on writing? Do you have one that you go back to over and over or do you find yourself seeking out a new one? Knowing where you are going is like having a good road map that can help you to avoid the wasteful side roads we often get sidetracked one and helps to keep you on the clear and beaten path, or, in other words… the road to writing success! Thanks, Don, I like one of my comments being called priceless! 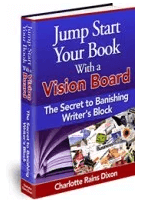 And it is a great, helpful book for fiction writers.